Powerful end-to-end cloud-based ERP and payroll software. Manage everything from your financials and operations, to your payroll, in a single platform. 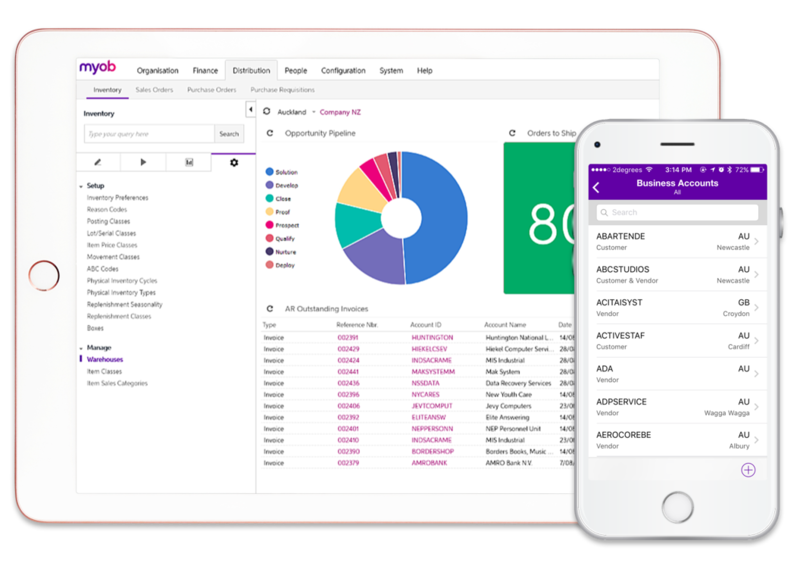 MYOB Advanced Business + People is an MYOB ERP (Enterprise Resource Planning) software designed to take care of everything your business need now and also in the future, so your software can continuously support your business growth. Our team utilise their extensive ERP experience to deliver tailored solutions based on best practices. MYOB Advanced Business + People grows with you – with a convenient and straightforward monthly pricing plan. Your solution is hosted on the best-in-class, high availability data storage facility centre in Sydney by Amazon Web Services. MYOB Advanced Business + People has the flexibility to grow with your business. Explore deeper into MYOB Advanced Business and MYOB Advanced People. ERP software that provides a customised, scalable platform. Convenient monthly price that eliminates the need for ongoing hardware cost. Powerful cloud payroll solution that helps you to grow. Enjoy the benefits of a unified system. MYOB Advanced Business + People is an Enterprise Resource Planning (ERP) software designed to take care of everything you need now and also in your future as your business grow. The solution provides you with inventory management, streamlined sales and purchasing, accounting and more in one scalable platform.